WeatherTech Floor Liners is a major player in parts and accessories protection. As an industry leading floor mat manufacturer, WeatherTech sets the bar for premium-quality, aftermarket floor mats. WeatherTech’s floor mat designs are extensively researched before production begins. WeatherTech Floor Liners encompass the ultimate in quality and styling. The pursuit of excellence is why WeatherTech floor liners continue to lead the way. The WeatherTech FloorLiner accurately and completely lines the interior carpet providing interior protection. 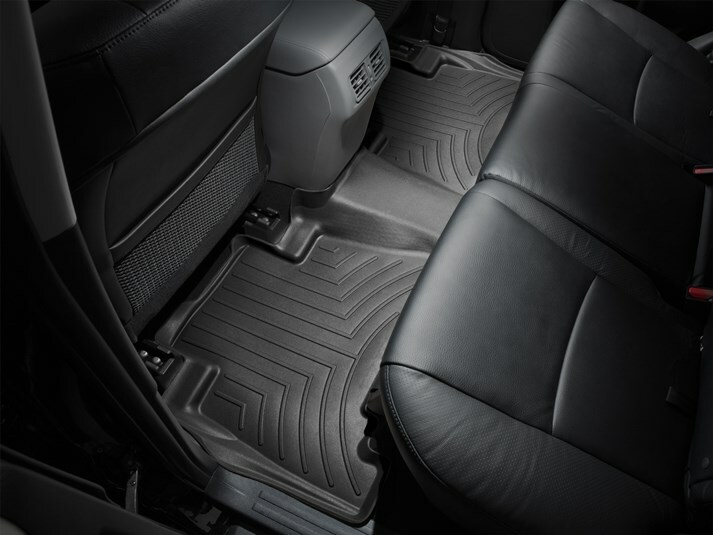 The WeatherTech Floor Liners line the interior carpet up the front, back and even up the sides of the vehicle’s footwell. 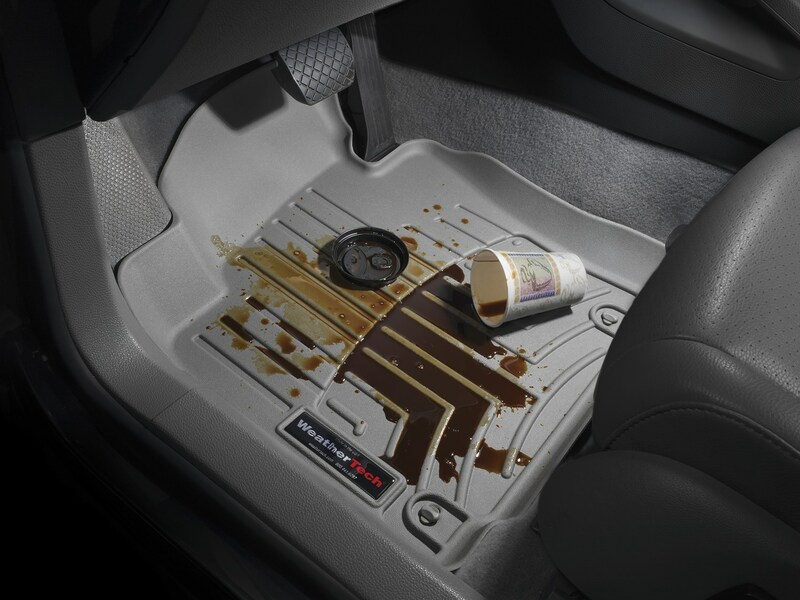 WeatherTech Floor Liners go way beyond the call of duty for what’s expected from the average floor mat. The most advanced floor mats on the market are designed by WeatherTech to deliver complete floor protection. 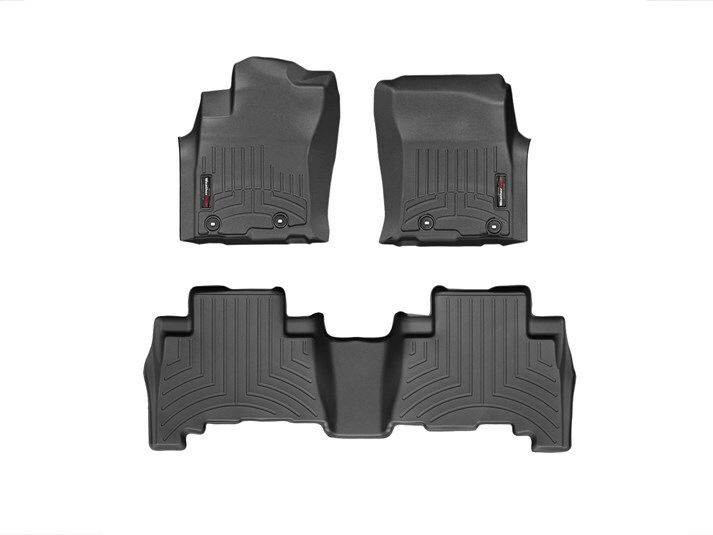 Front mats, rear mats and cargo liners, WeatherTech has your entire vehicle protected. A patent pending High-Density Tri-Extruded (HDTE) material allows for a rigid core for strength while offering surface friction to the carpet, as well as tactile feel to the surface! Advanced surfacing creates channels that carry fluids and debris to a lower reservoir with further channeling to help minimize fluid movement while driving! 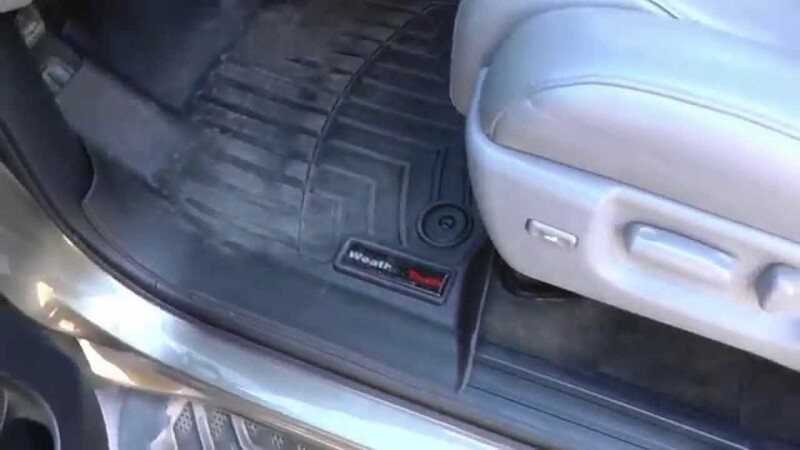 Once fluids become trapped in the reservoir, away from shoes and clothing, they are easily removed from the WeatherTech Floor Liners over the door sill. Though constantly updating and improving their product line, one thing that WeatherTech never changes is the legendary quality. No matter what the style or vehicle, WeatherTech floor liners will be the best they can be. WeatherTech Floor Liners help protect resale value too! Simply put, the cost of owning a vehicle is the difference between what you pay for it and what you sell it for. There are many factors that influence resale value; miles, exterior condition, maintenance history and of course interior condition. The FloorLiner is proudly designed, engineered and manufactured with American made tooling in the USA. WeatherTech DigitalFit Floor Liners are available for all rows of your vehicle. Depending on your vehicle, the rear floor mat is a one or two piece design.